It was Rylan’s birthday this weekend. He just loves “gerkay gake” (birthday cake). Happy birthday, Bubba! 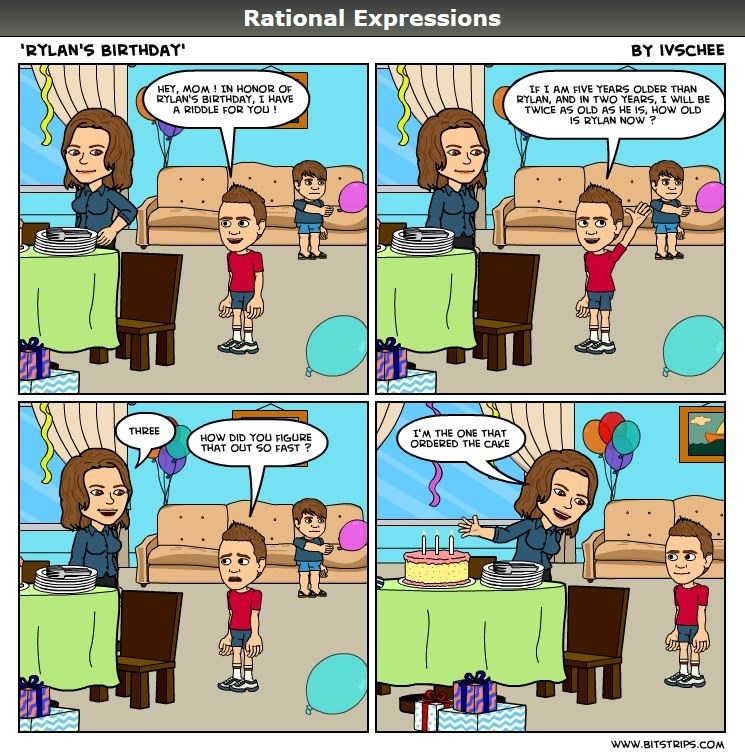 Posted on September 23, 2013, in Rational Expressions - A Comic Strip. Bookmark the permalink. Leave a comment.